Keeping time while diving requires very robust professional watches. 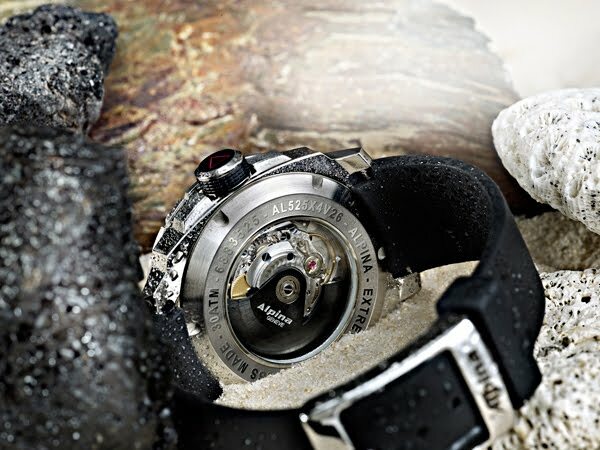 There is a kind of beauty to the professional diver's watch that comes from the pure pleasure of engineering excellence. There is nothing superfluous about divers' watches, except of course the fact that they are engineered beyond the point of mere utility. After all, no human being is ever going to dive to depths beyond 300 meters. There is, however, a marvelous draw to the idea that you can go that deep, if you wanted, with the proper equipment. To fully appreciate the Alpina Extreme Diver, the first thing to do is understand the requirements that define the professional diver's watch. In this regard, it is possible to define clear parameters and, without resorting to hyperbole, make the case for the true professional diver's watch. As a general rule, for any regular activities from snorkeling to scuba diving, a diver should always choose a watch with a water resistance rating of at least 200 meters. For the occasional swim, a watch resistant to 100 meters will do. The rationale behind the exceptional water resistance we recommend is that, in general, watches tend to perform differently in real-world situations than they do in the laboratories where they receive their certifications. 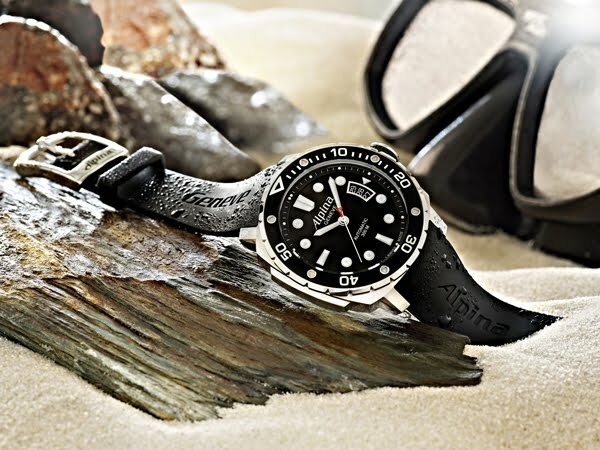 The Alpina Extreme Diver’s case is made of anti-corrosive materials, has a nonscratch crystal, and is outfitted with extendable wrist straps that can fit over a wet suit. The bezel of the Alpina Extreme Diver is unidirectional, has luminous markers, and is used to set the maximum time a diver plans to be under water. Therefore, it is vital that the setting cannot be accidentally pushed or knocked off. Having it moved in only one direction means that time meant to be spent under can only be accidentally reduced, but not increased.